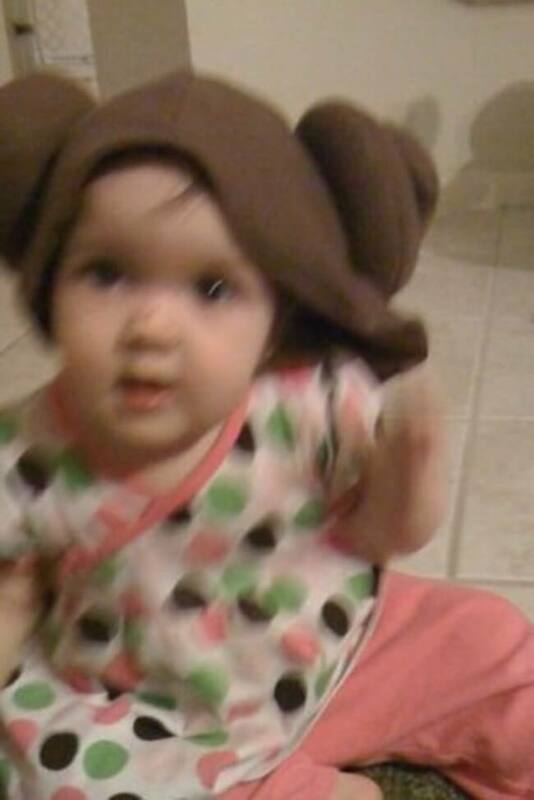 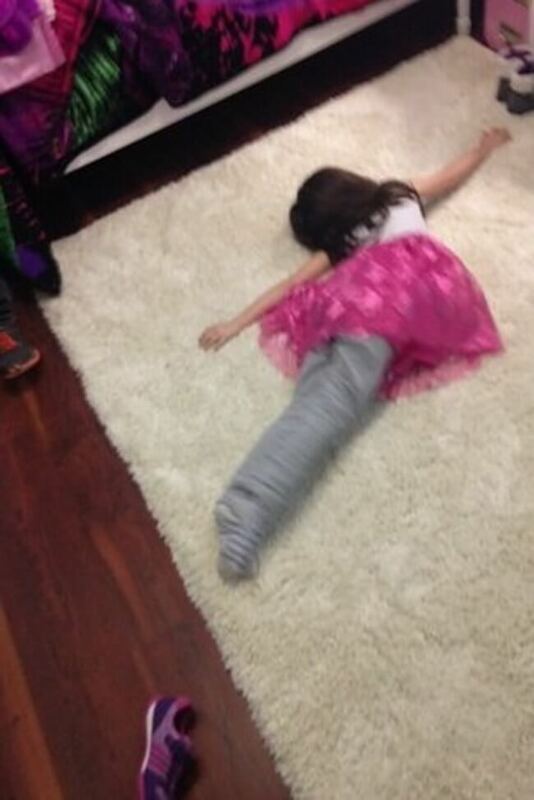 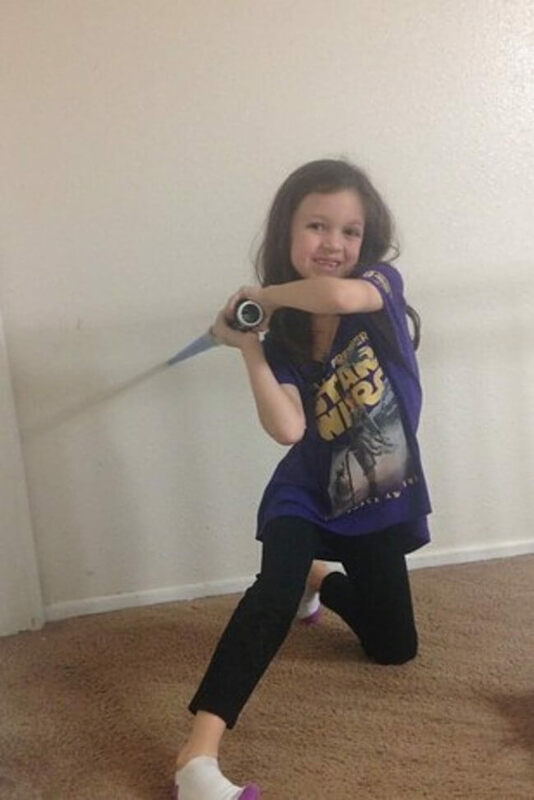 This adorable little girl is the 7 year-old daughter of Emily Rose. 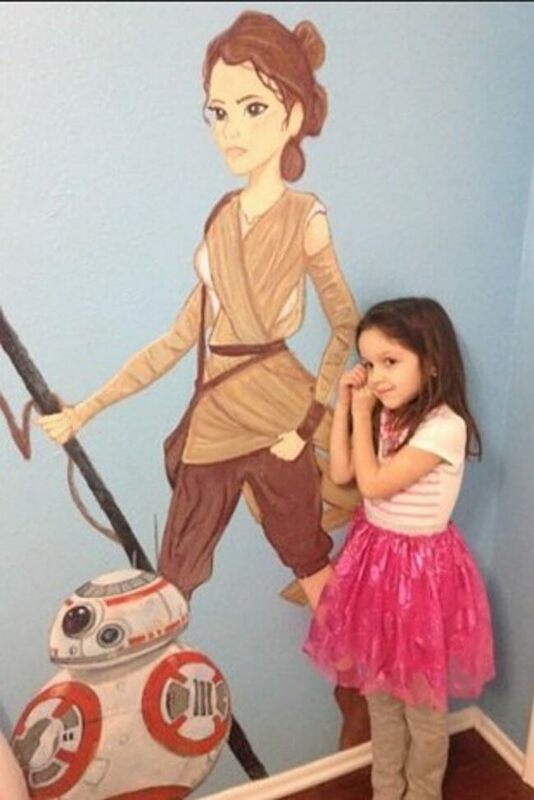 It’s great for little girls to have a great female role model to look up to. 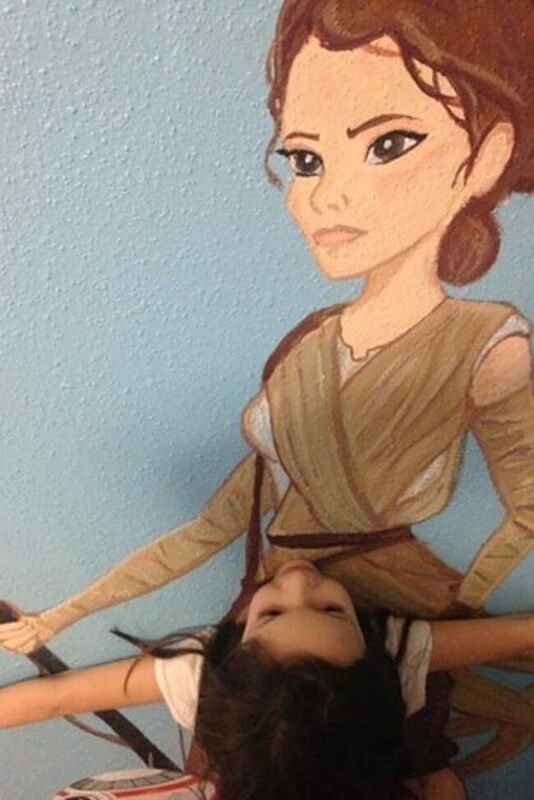 It could be a mother, sister, celebrity, or even a character in a movie. 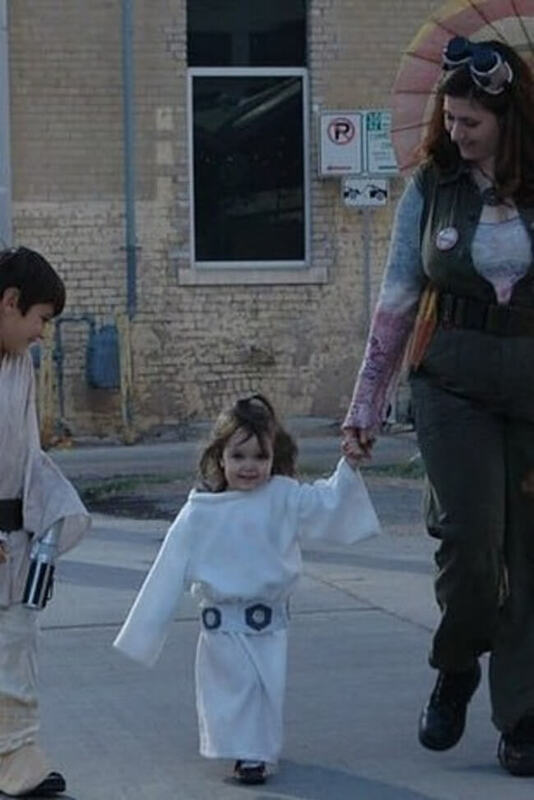 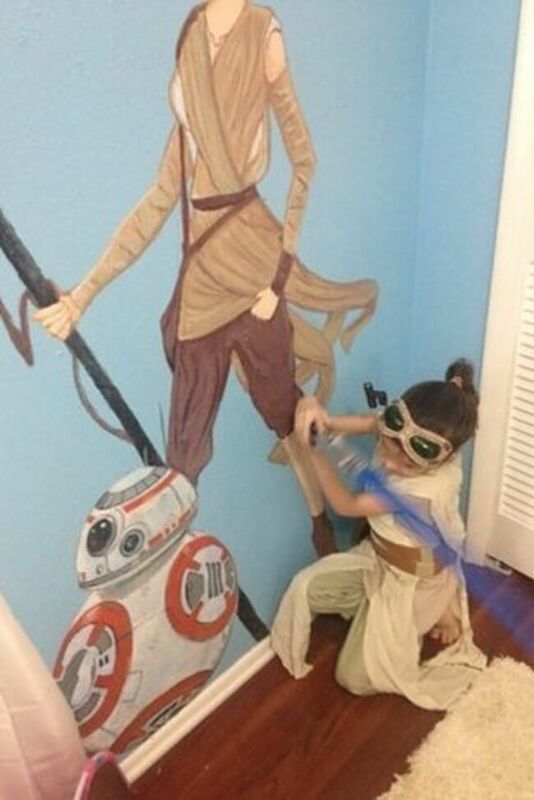 For this little girl, that role model was Rey from Star Wars: The Force Awakens. 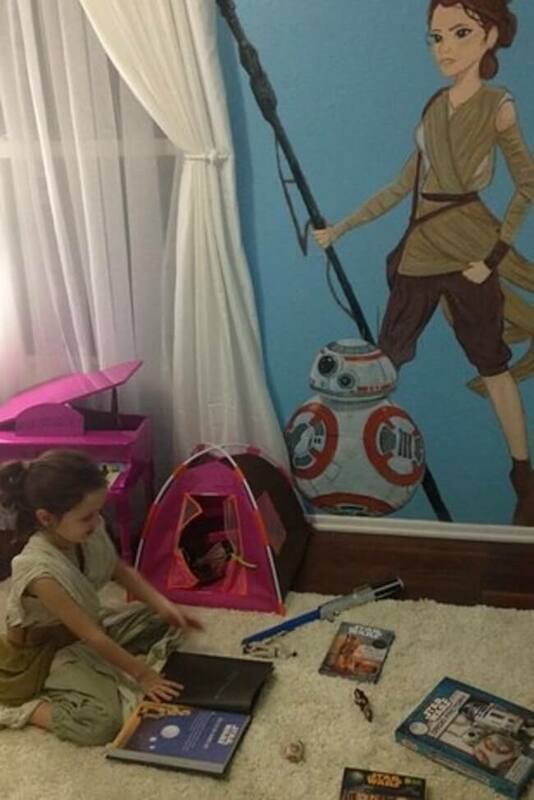 As soon as she saw the movie, the 7 year-old immediately fell in love with Rey. 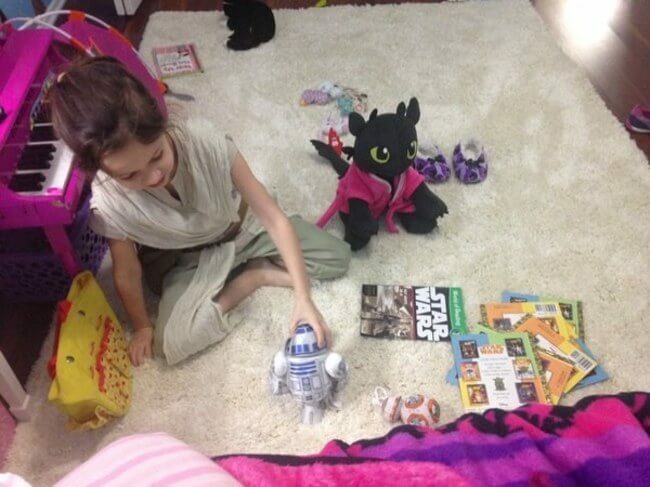 After weeks of searching for a Rey action figure, they finally succeeded. 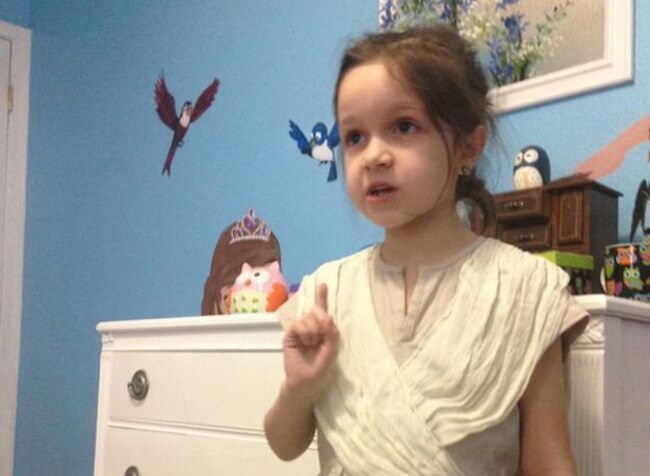 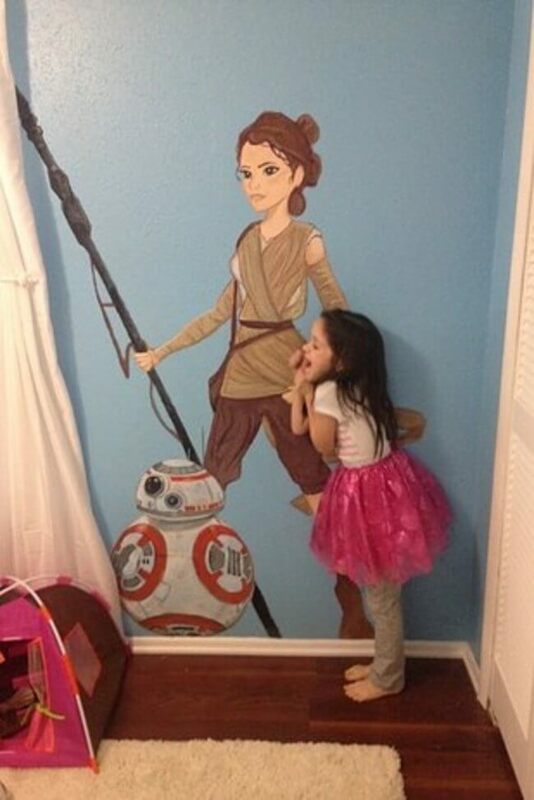 When they finally found the action figure, her mom decided to surprise her little girl with a realistic Rey painting on her wall. 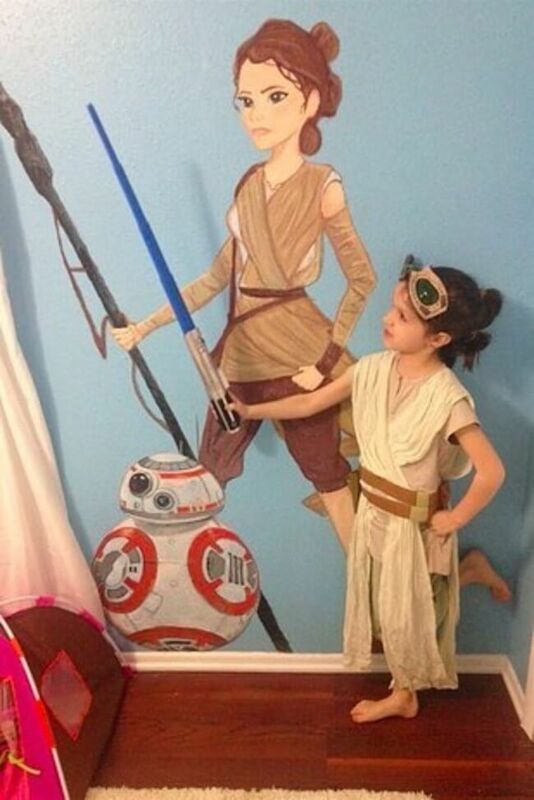 And to no surprise, her daughter loved it. 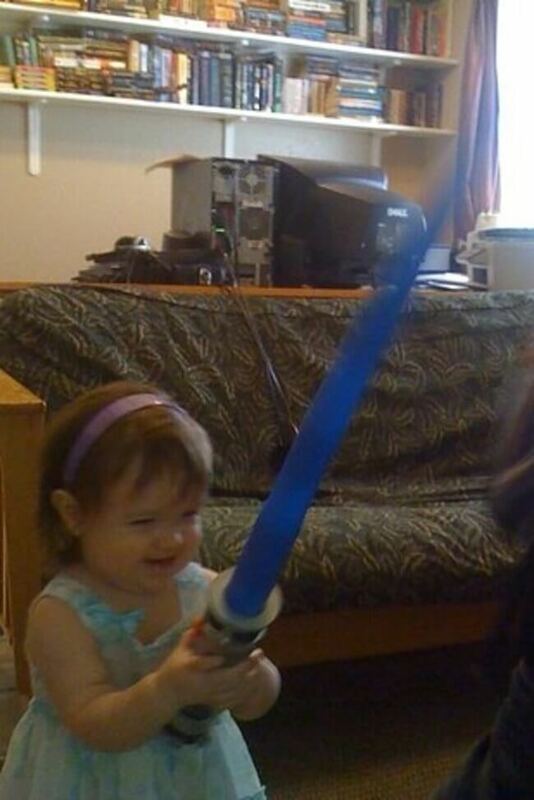 But that wasn’t her only reaction. 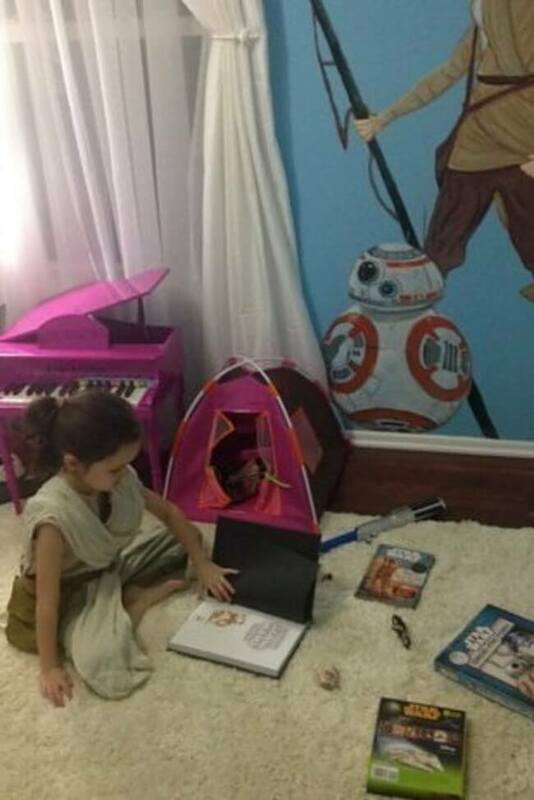 After about 5 minutes of the initial reaction, Rose’s daughter had on the full Rey costume, with a lightsaber in hand and was reading Star Wars to the new painting and her stuffed BB-8 and R2-D2.